Walt Disney World is by far, my all-time favorite family destination. With so much to do and every age catered to, you just can’t go wrong with a Disney vacay in my opinion. After YEARS of exploring Disney World with and without my kids, I’ve put together the best ways for parents to see the parks and get your money’s worth all while staying sane with the kids! The entire Walt Disney World Resort consists of 4 parks, The Magic Kingdom, Epcot, Disney’s Hollywood Studios (formerly MGM Studios) and Disney’s Animal Kingdom. Before you book your vacation, take into account two MAJOR things; how old your kids are and what they want to see. From my personal experience, The Magic Kingdom itself takes at least 2 days to get through at a reasonable rate with children under 10. Be sure you take a look at what rides your family will want to do, which parks have the things your family wants to see as well as when kids will need naps, food, or just a break in general. Creating an itinerary before you buy will help you decide what kind of tickets you want. In my opinion, I feel AT LEAST a 3-day park hopper is a must! This gives you 2 days for The Magic Kingdom and half a day for both Epcot and Disney’s Hollywood Studios. Animal kingdom is the furthest away from the 3 original parks and monorail transportation doesn’t go there, so you must either drive yourself or take one of the designated Animal Kingdom buses that run throughout the Walt Disney World Resort. I feel this is also an all-day park as there are lots for littles to to do and see as well as some of the BEST shows in the resort. 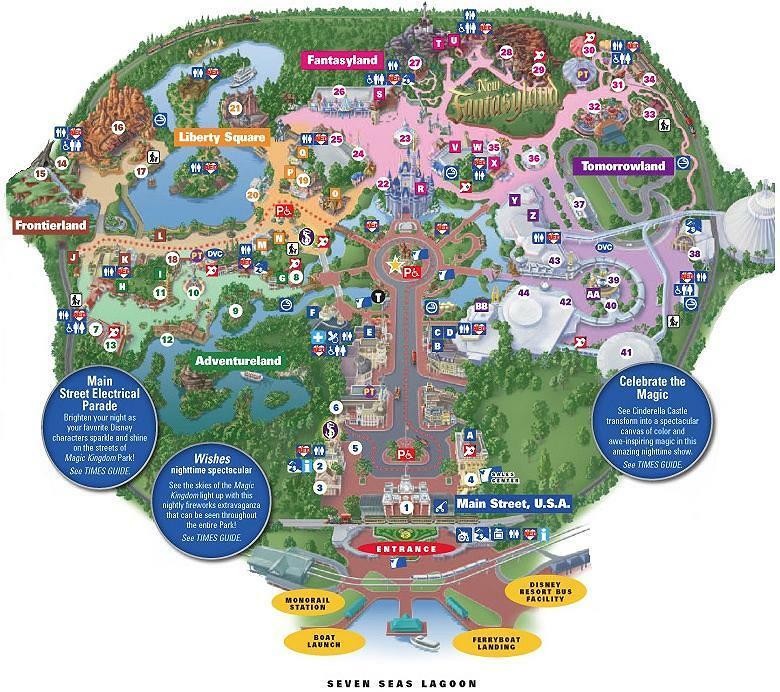 All of Disney’s parks are huge, not to mention Florida’s weather normally tends to be hot or VERY hot. This can make walking around all day an even harder task, throw in some daily Florida rain and it becomes even more interesting. That being said, I highly suggest bringing or renting a stroller for any kids under the age of 10. 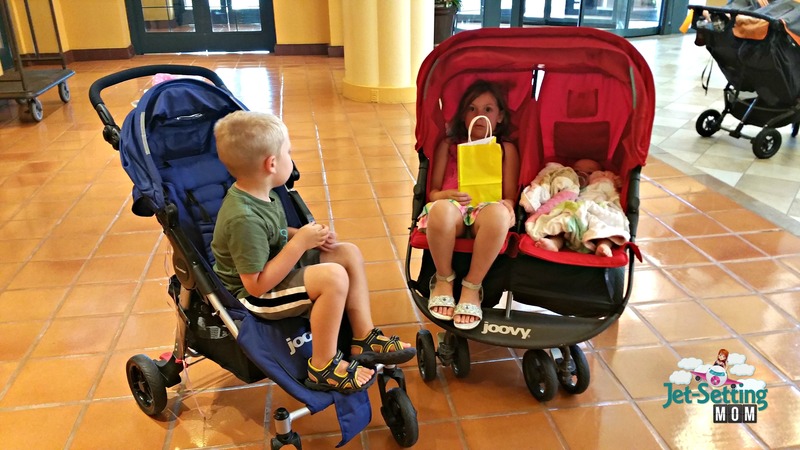 We have a 7, 6 and 2-year-old and still bring strollers big enough to fit ALL of our kids. I can’t stress how nice it is to be able to “contain” them throughout the crowds, give them shade or just have a place for them to sit when they get tired of watching the parades. PLUS, you have an instant napping station for anyone who’s past due for a nap. If the kids want to walk for a bit, the strollers double as a great way to tote around souvenirs you don’t want to hold. All Disney parks do offer stroller rentals in the parks, however, the largest you can get is a 2 seater and these do not offer any kind of storage space. Booking your vacation during the off-season (late fall and late spring) can score you serious discounts, including lower hotel rates and restaurant prices. Disney tends to up their prices for the busy seasons (summer, Christmas and the winter and spring breaks). Many sources say, and I agree that November before the Thanksgiving holiday, is the best time of the year to do Disney, along with the two weeks immediately after that weekend. You’ll find great weather as well as smaller crowds. Disney’s website makes it super easy to pre-book all your dining experiences and this can help make things much easier! If you’re looking to eat in Belle’s castle at Be Our Guest Restaurant or feel like a princess at Cinderella’s Royal Table, themed restaurants in The Magic Kingdom can be booked up to 90 days in advance of your visit and I HIGHLY suggest doing so!!! DO NOT wait until the last minute to book these amazing dining options. Cinderella’s Royal Table is notorious for being booked solid 24/7 so snagging a table can be a chore. I’ve even had to call multiple times on a daily basis or even look online multiple times a day to see if a seating is available for the big restaurants but it’s worth it! Pro Tip: Book breakfast as early as you can at one of the park restaurants. 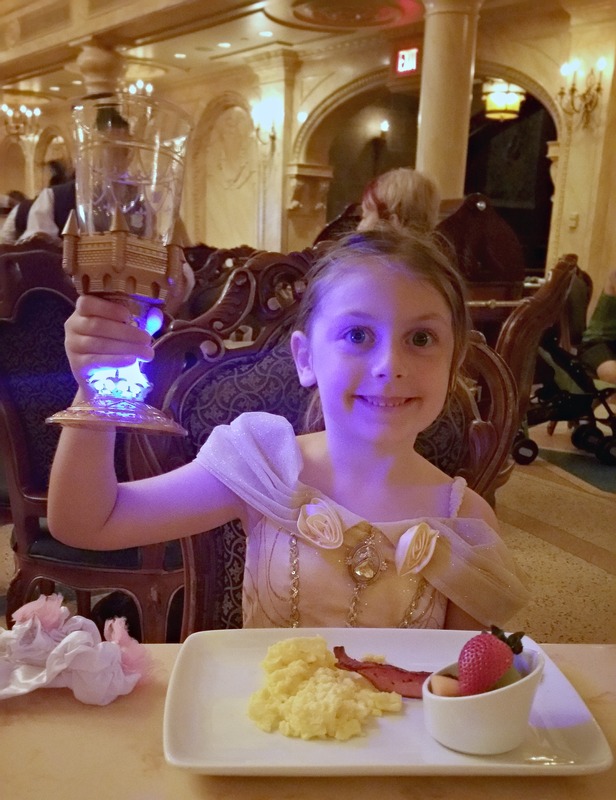 Be Our Guest in The Magic Kingdom and Akershus Royal Banquet Hall in Epcot are the two biggest in-park breakfast destinations. The best thing about booking breakfast early is you get to be among the FIRST people in the park, even before it opens!! This gives you not only a great opportunity to hit rides early, but it gives you a VERY RARE view of the park with NO CROWDS! If you’re looking for a picturesque photo in front of Cinderella’s Castle at The Magic Kingdom, then grabbing one on your way to breakfast is the way to go! One of my biggest fears as a child was getting lost in a big crowd from my family. Now as a mom, I make sure I always prepare my kids in case we somehow get separated while at the parks. For one, I ALWAYS take a photo of them with my phone the day we head to the parks. This is a great way to remember what they are wearing and to be able to show park reps. Two, I am a massive fan of Mable’s Labels custom kid’s safety bracelets. These disposable bracelets are a great way for kids to hold important info they may not remember, like cell phone numbers, who to contact and if they have allergies or health conditions. You get a full sheet and a half and they can be worn comfortably throughout the day. Another great way to prepare your kids in case they lose you is to show them on a park map where all the guest service stations are. They always near the front of the park with other emergency stations and baby stations scattered throughout the park. All of these are great safe places for lost kiddos to get help. Disney employees are impeccable at getting kiddos back to their families and know how to make them feel comfortable, but making sure your children know what to do if it happens is important as well. Disney now offers the ability to pre-book fast passes for those using Disney’s Magic Band system. Now, instead of having to grab a fast pass in the park and wait for it, you can go to the parks with your rides already scheduled and all you have to do is show up in your fast-pass window, scan your band and your off! This is another major time saver, especially with kids and it cuts back wait times by the hours. You can pre-book your fast passes in your My Disney Experience account on the Walt Disney World website. 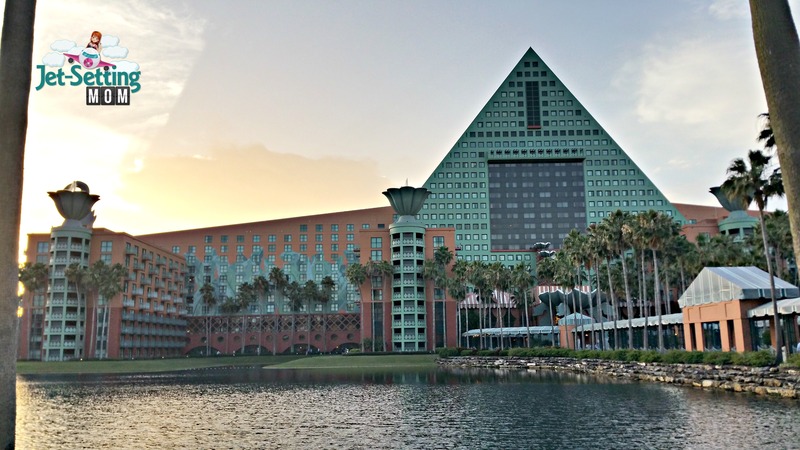 There’s nothing like staying in a Walt Disney World Resort. From the continued magic they offer to the convenience of on-site transportation, having your in-park purchases sent to your room or not worrying about leaving and having to drive back to the park, staying on property has major advantages. Disney offers different levels of resorts throughout their property and depending on your price point there is a resort for everyone. Again, booking in the offseason is your best bet to get a great rate, however booking as early as possible can help as well. If you want the biggest convince to your favorite parks, look at the Contemporary for the Magic Kingdom as the monorail runs straight through it. The Boardwalk or Beach Club Resorts for Epcot and Hollywood Studios as these are all within very close walking distance plus you can take the ferry to the resorts as well. If you’re flying into Florida and want to get to Disney the best way possible, using Disney’s Magical Express is the best way to go. 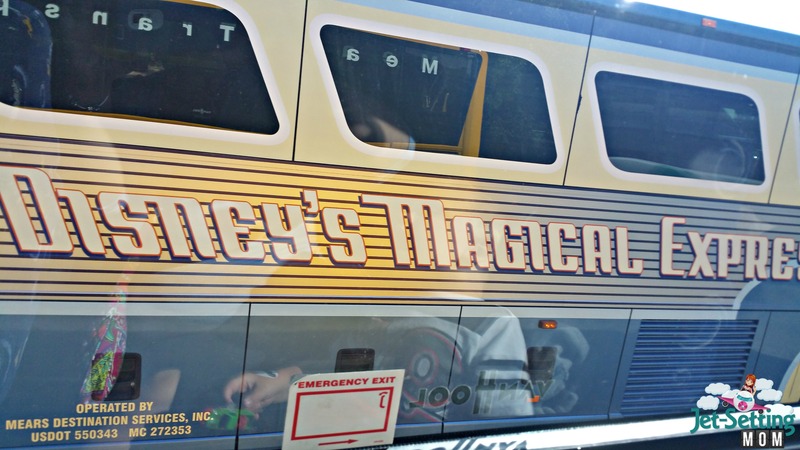 This pixie-dust filled bus system is a great way to start your magical vacation. Right after you get off the plane, you follow signs for the Magical Express, hop on and it takes you straight from the airport to your on-site resort. My personal favorite feature of the Magical Express is they grab your luggage for you straight from the plane! So no waiting at the baggage claim with antsy kiddos. Now I do recommend packing a carry-on with your theme park essentials, your tickets, hotel info, spare clothes and snacks and anything you may need to hit the parks right away. Your luggage can take up to 6 hrs to get to you so it’s nice to have these things handy. PRO TIP: Use the extra luggage tags sent to you for the Magical Express and attach them to your backpack, diaper bag, purse or whatever you’re bringing into the parks. If the item gets lost in the park or left on a bus, Disney employees can scan it and return it to your on-site resort room! Every Disney park has their own unique popcorn buckets which you can find at popcorn vendor stands throughout the park. These buckets double as a treat holder and a great souvenir! Not to mention they are usually limited releases and become very collectible. Plus, Disney popcorn is among the best I’ve ever had! Most everyone has heard of Disney’s Bibbidi Bobbidi Boutique where little girls can be transformed into their favorite princesses, (read more about that here!) but did you know Disney offers an experience that will turn you into a pirate or real mermaid!? Disney’s Pirate’s League is located right next to the Pirate’s Of The Caribbean ride in the Magic Kingdom and is a wonderful experience for boys and girls and THE ONLY place where adults can get made up just like their kids! The adventure offers different packages like BBB but at a fraction of the price. Reservations are required in advance and photo ops with super cool Pirates Of The Caribbean movie set items are available. This is by far one of our favorite things to do in The Magic Kingdom and the kids love it! Whether you’re doing Disney with littles or bigs, Disney with kids of any age is a magical experience. I hope your next Disney vacation is full of magic! Heading to Disney without kids or know someone who is? Check out my 5 Adult Hacks For Disney Without Kids! These are great tips–I’m planning a trip for 2017 and I plan on researching some of this! Thanks. Thanks for your tips,this distinction in our plan for this year ! Best Tips for Family before big day! This will come in handy on all future trips with kids!! Thanks!! Thanks, we are going this April..fingers crossed!! Fastpass! It’s all about the Fastpasses! These are wonderful tips! I cant wait to take our kids to Disney again. Some of these things we already practice, but some of this info I never knew or considered. We are waiting for our youngest to get a little older so she can enjoy the park too. Definitely need a plan if were ever to get separated. Great tips! We’re hoping to make a trip later this year! Hoping to get to WDW one day soon, so loving this list! Great tips! We did a lot of these things the last time we went to Disney. I created my own id bracelet for my daughter with her name and my cell number. We also brought our own stroller, and I attached a homemade sign with our family name on it so that another family wouldn’t mistake it for their stroller. However, in the stroller parking areas, it is very difficult to find your stroller, especially because there are cast members who will move them as needed to create more space. We eventually ended up with a balloon, and attached it to the stroller. It made things much simpler once we got off the ride! Thanks for the tips, I am hoping to get back to Disney again soon! 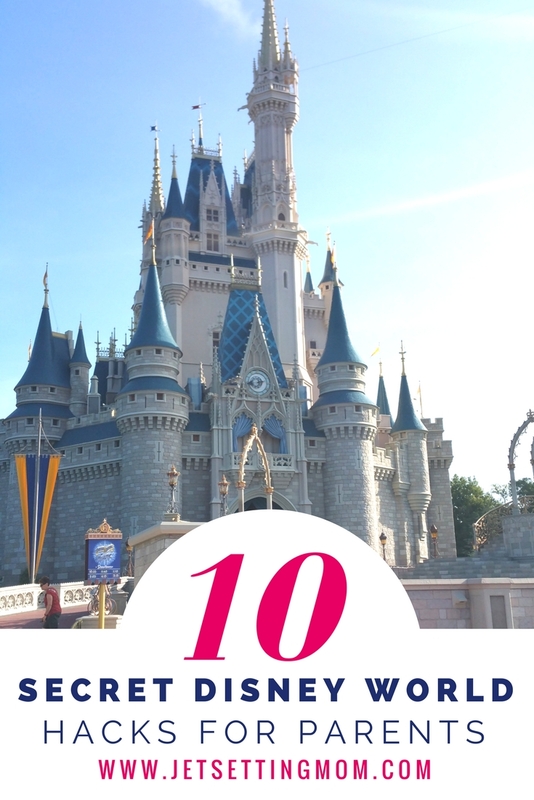 We have yet to visit Disney World, but these are great tips for when we do. Good to know that Animal Kingdom is farthest away. Can’t wait to see all Disney World has to offer. Yes, yes, yes (!!) to all of these suggestions. When my daughter was 5 someone said to me “don’t you think she would be too big for a stroller?” At home? Yes. But Disney is a different kettle of fish. There is SO much walking, she was thankful to have the stroller! Can’t stress the “bring strollers” thing enough. We preferred to bring cheap, lightweight umbrella strollers, just in case one was stolen or damaged. Rentals are so expensive at WDW, so you can actually buy a cheap umbrella stroller for less than a day’s rental. Great tips – the off season is our favorite time to go! The popcorn bucket tip is one I’ve never heard before. We will be doing this one. Thank you! We always plan ahead when we go on a Disney vacation. I love to see what others do in terms of getting ready to go. We plan ahead with dining as well. There is nothing worse than having hungry kids at Disney and you don’t have a reservation. Thanks for the tips! We’re going in April with out 11 month old daughter. Wish us luck! Thank you for the information! Very helpful information to make a wonderful trip even better! The popcorn bucket tip – I keep forgetting that one (doubles as a souvenir)! I didn’t realize they were limited edition. Next time we’ll have to pick one up when we’re at WDW. Great info! Thanks for writing it all up! A couple of tips I like are to get a hot chocolate in the souvenir cup. Makes for a nice drink and you can start collecting the cups over the years. Another is to bring your own water bottles on a lanyard and some light snacks so the kids “and big kids” are always hydrated and not too hungry. These are such great tips!! And, in case you are like us and don’t have a nice double stroller, there are amazing outside stroller rental companies that will drop off really fancy strollers at your hotel. We did our research and found Baby Wheels Orlando who rented us a City Mini Double for our week with all of the stroller extras you could ask for for about $100 total. Another fun thing is taking a boat from the Polynesian or Grand Floridian to the Magic Kingdom. We went during Christmastime (insane, I know!) and couldn’t get onto the monorail because it was so crowded!! I finally blew a fuse and we went down to the waterfront and caught the little ferry. It was the best, the boat driver gave my son a pirate scarf and daughter a diamond ring. I’m so glad we missed the monorail! I want to take my Granddaughter who’s 6:) Thanks for the invaluable information! Although people say there’s no such thing as off-season anymore, I want to visit at the end of October or the week after Thanksgiving. I love that they offer pirate and mermaid face paint for adults. My adult children wanted to do Bibbidy Bobbidy Boutique with their little sister, now I can surprise them! Thanks for the tip. Can’t wait to bring my nephew when he’s school age! My family isn’t going for a few more years but these are awesome tips! Passing this along to my friends with kids! Super helpful! Lots of great tips, there is just so much o know and take in. I love Disneyland and all things disney!! We always book our dining ahead . Thanks for the info. I want to go!! Looking forward to our next trip when my son is a little older and able to ride some of the more thrilling rides! Love all the info. Off season is the time to go! 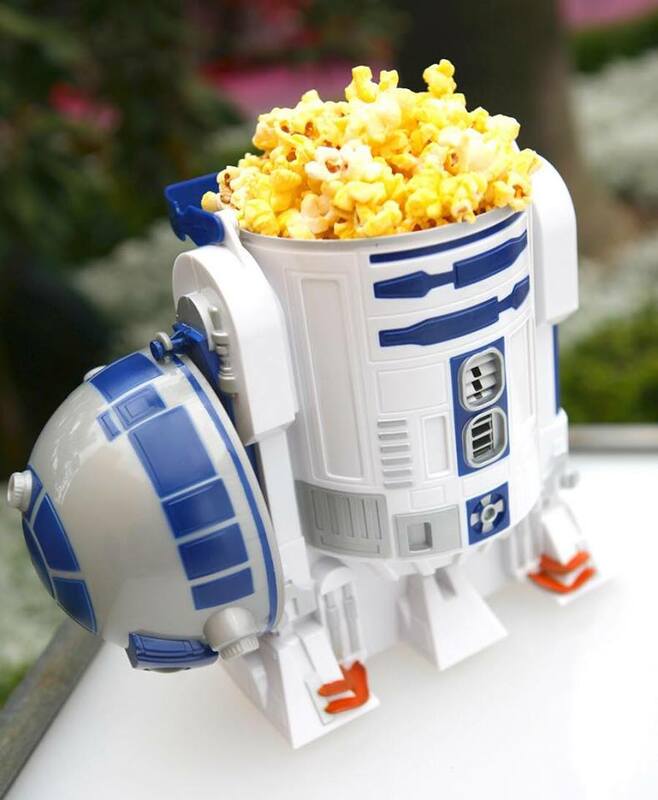 NEED TO START A POPCORN BUCKET COLLECTION! Epcot also has a Egg hunt to complete with stickers on a map then turn in completed for a special souvenir!! I always do an itinerary…the key is following it as best you can, without living or dying by it!! Great tips – especially the stroller, safety bracelets and breakfast ideas! I had never heard of the magical express! that sounds like such an amazing thing to make use of. Lots of great family tips! I, too had never heard of the magical express. Some other good ideas here as well. Great tips! I am itching to get back to WDW! Here’s to hoping I win tickets or save enough money one day to take my Husband, self, and 6 kids to WDW!!! I believe that proper planning and research is important for any trip. However, for Disney World it’s absolutely critical, especially with young kids. These tips are a must for every parent for a magical trip. Bring the stroller is the BEST tip. I love Disney except the crowds and heat. I never knew about the collectible popcorn buckets, good thought! These are great tips for kids! I’ve only visited Disney before having a child, so I know these ideas will come in handy the next time I get to visit WDW! Thank for these great tips! Yes! These are all great tips! Especially planning ahead of time!! Great info! The dining info is really important for sure. Must make those reservations early to not miss out on the fabulous experiences. Thank you for the information! Very helpful information to make a wonderful trip even better! I Would Love To Take My Grand Kids If Money Will Allow. We Have Never Been To Disney.. I loved your “PREPARE YOUR KIDS IN CASE THEY GET LOST” tip. That is one that I have used myself, as well as have stressed it to others who were in the process of going on a Disney vacation. It is probably the most important tip to share. Thanks! Sounds like no matter how good you plan something will go wrong, but there is no place like The Magical Kingdom and I hope my family gets an opportunity to go someday soon!! The most important tip of all for little ones is TAKE THE NAP. Leaving the parks for a couple of hours in the middle of the day for a nap and swim is essential to keeping the family sane and happy. Staying on-site may be a little bit more money, but it actually evens out — no parking fee, free parking at the parks (if you rent a car), free transportation, and extra magic hours! 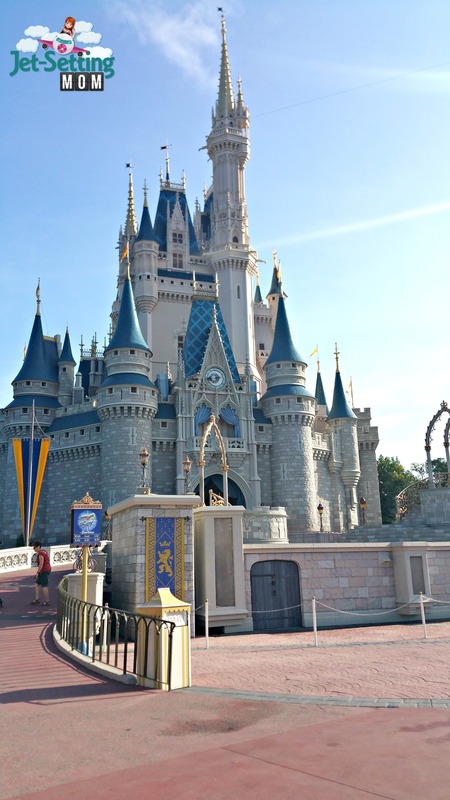 Going to WDW with a kid and without are two totally different experiences! The Baby Care Centers are the best!!!!! One of the things I loved about the resort hotels is that they had washers and dryers available. I was able to have clean clothes the whole time we were there. great tips! I am glad my boys are older now 11 and 9. No more stroller. Thank you for all of the amazing tips! I agree that going on off-season would be much better. Disney has employees everywhere, so lost kids can easily find someone to help them. One even gave my daughter a bracelet we could write our phone number on. We have also used Safety Tats, which include options for allergies and non-verbal kids. I sure will be bringing a stroller with me when we get to go no matter how old the girls are! Such excellent tips! Thank you! Great tips for traveling with kids. You ef have to plan ahead of time. and nowadays they offer so many great things for kids that you want to take advantage of! I do so agree if traveling with younger ones try to go on the off season, that way wait times are not so bad for them. Great tips! I’ll have to keep these in mind when we plan our trip. Awesome Tips! I learned something new too….use those extra luggage tags for your stroller, purse,etc because they can just scan it and get it back to you. Sweet! My children are teenagers now, but we took a few Disney vacations when they were kids and we always stayed at a Disney resort. The quick and convenient complimentary transportation from the Disney parks to a Disney resort made it so easy to take a break in the middle of the day! Every day we’d go the parks early and then take the monorail or bus back to the resort at lunch time so the kids could go swimming or take a nap. We’d all be refreshed and ready to go back to the parks for the rest of the night! Love the Disney resorts!! Will definitely be making reservations for dining ahead of time! I’m going to use many of these tips! I got lost at WDW once as a child and I remember being at Guest Services for a while before my older siblings found me. That was an interesting experience in the days before cell phones I’m sure! Great tips for taking the kiddos. Although mine are 24 and 21 now, some day the grandbabies will start to arrive! I give my son a small backpack with light snacks to carry. Also buy him a $50 gift card so he can buy his own snacks or toys. This is the most magical place on earth for kids AND adults! Didn’t know about the pirate/mermaid dress up! Very cool! Disney’s Pirate’s League is worth every penny! We bought a pirate costume for a fraction of the price online and brought it with. My son wore the costume to the park and did the rest of the experience and it is amazing! They make it really special! Thank you for the tip on Disney with the kids. I love the landmark for if your child gets lost. I also like the tip about going off season as well as making reservations. I love these tips–I’ll have to rethink my stance on strollers. My tip with little kids is to take breaks. Each park has playgrounds for little ones to just run around and play in. A great time to sit and watch them just play. Wow great tips – I’m bookmarking this page!! Wow, great tips! I’m amazed at all of the things I am finding out I did not know about Disney! I like the stroller tip – I took one for my daughter (7 yrs old) who hasn’t used one in years. I felt a little silly at first but when I saw how comfortable she was (so we were also) I didn’t even think about it. Some people can be judgmental and rude enough to share their opinions. I felt for the kids her age who were worn out & tired so early in the day. I wanted her to have extra energy at some times and not be too tired to be excited when she saw a character. These are great trips! I am going in December and actually LOVE the planning process! Seriously hoping I can cram my 8- and 5-year-olds into a stroller on our trip this December. As an older person who travels without kids, there is one thing I’d like to add based on my observations. Let the kids set the pace. If they melt down, forget the schedule, forget the plan, and just let them be a kid! If they’d rather swim in the pool, well, why not? I know you paid a lot of money for this trip and by golly they are going to enjoy it, but if this trip was truly for them, then make sure they enjoy it rather than having your own melt down (which is much worse than seeing a kid melt down, believe me!) because things are going your way. Thanks! I had never heard of the pop corn or the mermaid tips before. It is great to know that adults can get dress up too! Great tips, definitely keeping it all in mind! Awesome tips! I totally agree with having a stroller! These tips are great! Thank you. We have kids that are 7 years apart so finding thing that will make everyone happy is a must! Itineraries are soooooo important! We always have one, and base which parks we go to on where we’re eating dinner that night! I agree with the stroller – their little legs get tired fast too! I don’t want to be carrying them everywhere! haha. The genius of the design is that you can tell from the exterior if it’s going to be scary or not. Point to the Tower of Terror. “Does that look too scary? Alright, let’s skip it.” The exteriors are sufficient set up. Great tips. I also recommend the Fast Pass as well as the reservations for dining. Trying to get into just about any restaurant at Disney will either be before 5 or after 8:30-9 – can’t do that with small kids (well, maybe the dinner before 5!). I also say – try to get to the park(s) early – when you stay on-site they have earlier times to get into the parks and try to get to the more popular rides first so that you won’t sit in a long line (ie: SD Mine Train, Peter Pan, The Many Adventures of Winnie the Pooh, Princess Fairytale Hall: Meet Anna and Elsa from Frozen, Town Square Theater Mickey Mouse Meet and Greet, Under the Sea: Journey of the Little Mermaid & Ariel’s Grotto, where you can meet Ariel) – it also almost doesn’t matter what time you visit, even if it says it is not as crowded as other days – it is still crowded. So, try to do things at the beginning of the day and then into the evening. Also, the best time to go to Animal Kingdom is first thing in the morning to see the animals more active. Awesome tips! I especially like the planned dining which would save so much time. Trying to plan a trip early next year!! Thanks for the tips! When I took my kids a few years ago I had an itinerary for each day – it really did help!!! I hadn’t planned on renting a stroller but half way through the first day I realized it was totally worth it! Thanks so much for all the great tips! These will definitely come in handy. disneyland is for kids of all ages including me at 66!! great place and would like to win! These are all great tips. I went last year and I can say planning was the key to the trip’s success. You must get restaurant reservations and fast passes as far in advance as Disney will allow… and then plan you days accordingly. I can’t wait to go back! Great info – I love the tips of when to go….I’m not a big fan of huge crowds. Those dining reservations are super important. When we first started going six years ago, we just walked into each restaurant we wanted and got a table. This last year, we tried a couple of places and the cast member practically laughed themselves to death. Fabulous tips for families, thanks! Thanks for the tips! They’re really helpful. Great blog! Love it because it’s clear and simple to tell parents about Disney’s tips. Thanks so much for sharing! Great tips! I can’t wait to take my son to WDW! I agree with all these tips! Awesome! Booking breakfast at the park is a great idea. I don’t have kids, but these are still useful tips! bringing the stroller and dress up outfits ( pirate, princess and indiana jones) really helped steer those kids away from the overpriced souvenirs! These are all good tips. We have used all of them in the past. These are all very great and useful tips, thank you! Great tips!! Lots of new ones….but the stroller one is a really good tip!!! This will come in handy next month! Thank you! I love the idea of prebooking your fast pass tickets. I hadn’t even known about the wrist band. Wow, there is so much to know. I’m sure thankful to all of these hints and hope that we get to go sometime! Good list of tips! I love making a touring plan for each of our park days! Love the popcorn bucket tip! Great tips here! Didn’t know that you could pre-book fast passes now! Will definitely check this out! Awesome tips!! Would have never thought about grabbing the popcorn bucket!! Love things like that!! Really excited to bring my little one there one day!! Thanks for the amazing ideas!! Thanks for the tips! Will try them first at Euro Disney!